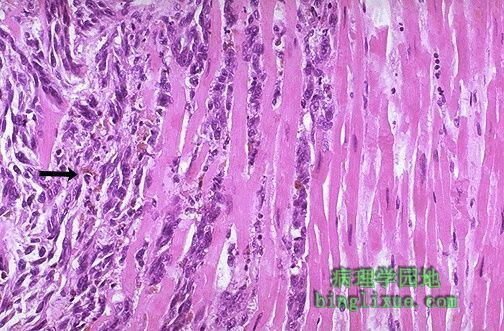 The neoplasm with the greatest propensity to metastasize to heart is melanoma. 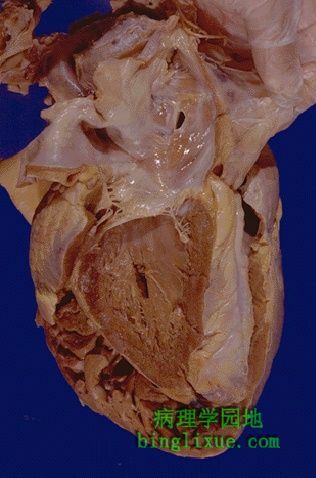 The metastatic melanoma is seen here to be infiltrating into the myocardium. 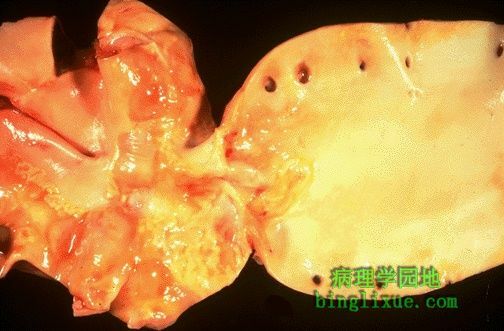 At the arrow can be seen some brown-black pigment characteristic of melanoma. 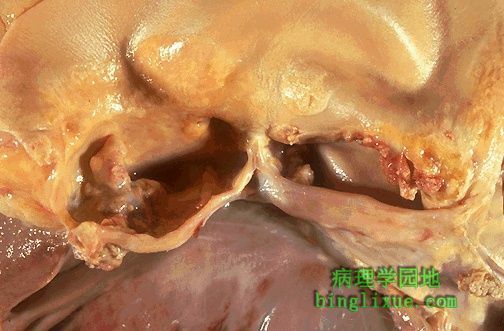 In the region of the foramen ovale on the interatrial septum is a small atrial septal defect, as seen in this heart opened on the right side. 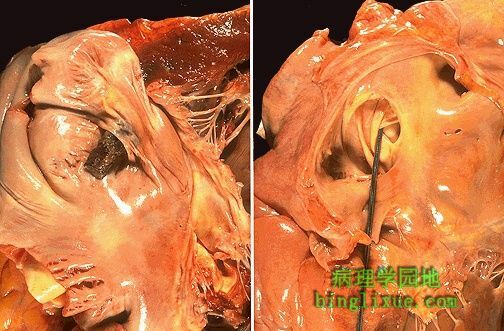 Here the defect is not closed by the septum secundum, so a shunt exists across from left to right. 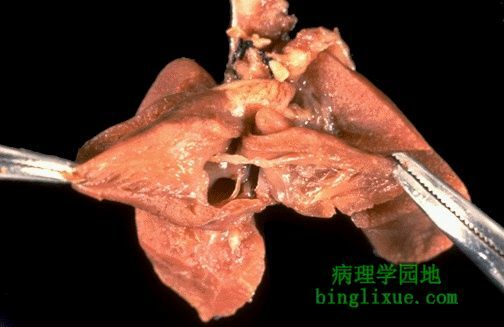 This is the heart of a premature stillborn with Trisomy 13 in which a ventricular septal defect is visible in the membranous septum. 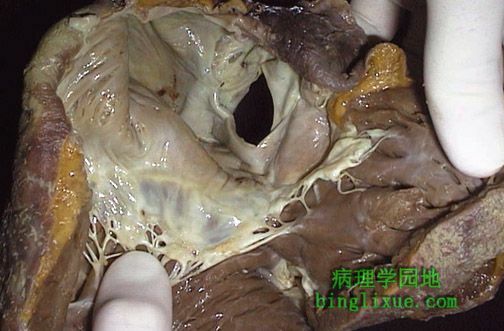 About 90% of VSD's are in the membranous septum and 10% in the muscular septum. 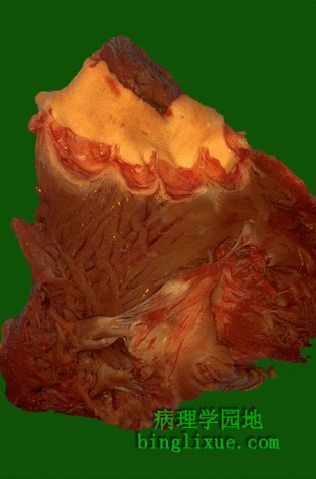 This portion of aorta was resected from a patient with a coarctation. 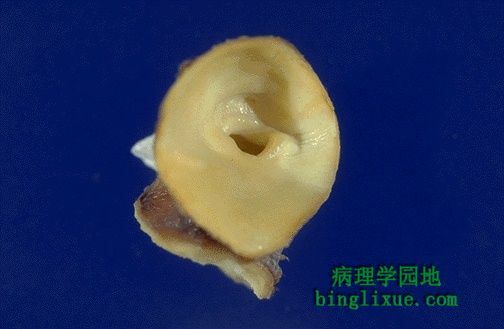 The aorta narrows postductally here to about a 3 mm opening. 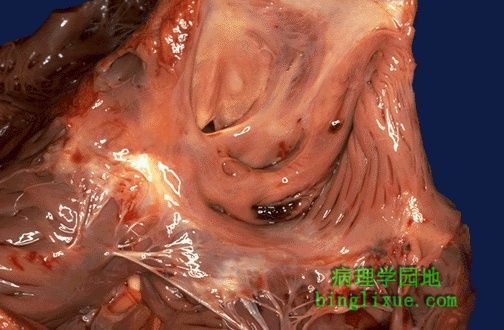 The aorta is opened longitudinally here to reveal a coarctation. In the region of the narrowing, there was increased turbulence that led to increased atherosclerosis.